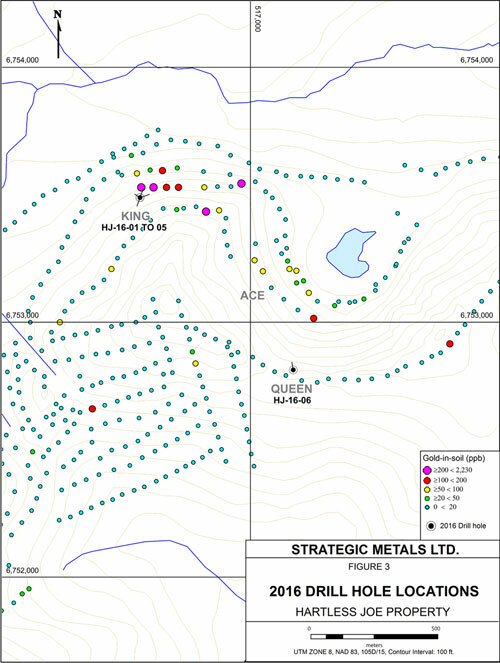 Strategic Metals Ltd. announces dri | Strategic Metals Ltd.
December 6, 2016 - Strategic Metals Ltd. (TSX-V: SMD) ("Strategic") announces the results from 2016 diamond drill programs, which tested gold targets at its Mars, Hopper and Hartless Joe properties in southern Yukon. Very encouraging silver assays from 2016 diamond drilling at the Salloon property were previously reported (see news release dated October 12, 2016). 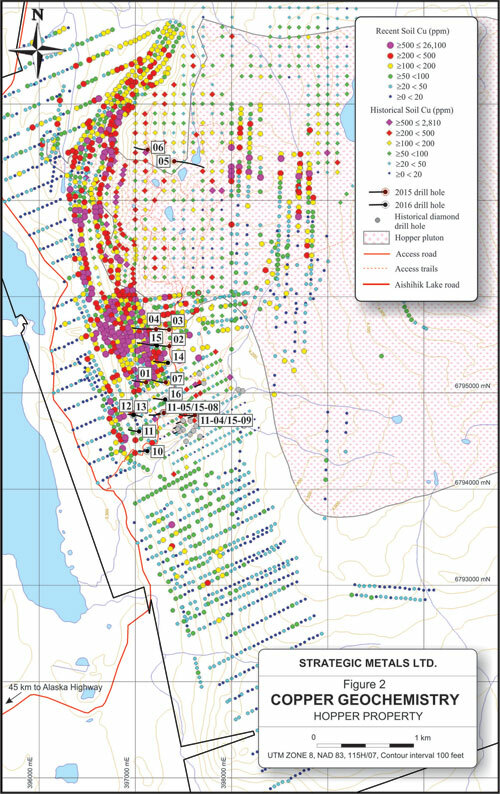 Diamond drilling in 2016 at the Mars property, located 65 km north of Whitehorse, totalled 393.19 m in three holes. 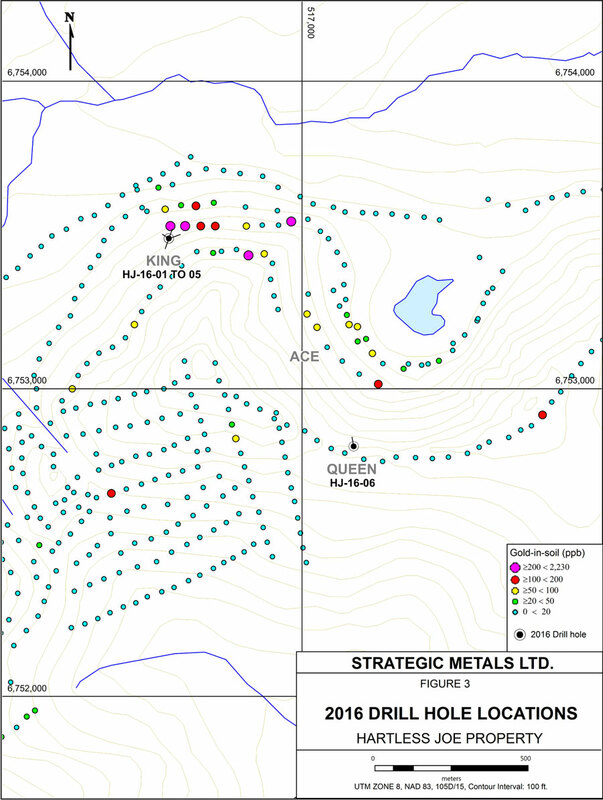 The drill holes stepped out 50 to 100 m from a 2004 drill intercept (6.44 g/t gold over 4.57 m), within an area of dense vegetation and pervasive till cover. A map showing drill hole locations is available on Strategic’s website. The 2016 drilling stepped out to test up dip and along strike projections of gold-rich skarn horizons intersected in previous drill holes. A total of 2,156.26 m was done in seven diamond drill holes. 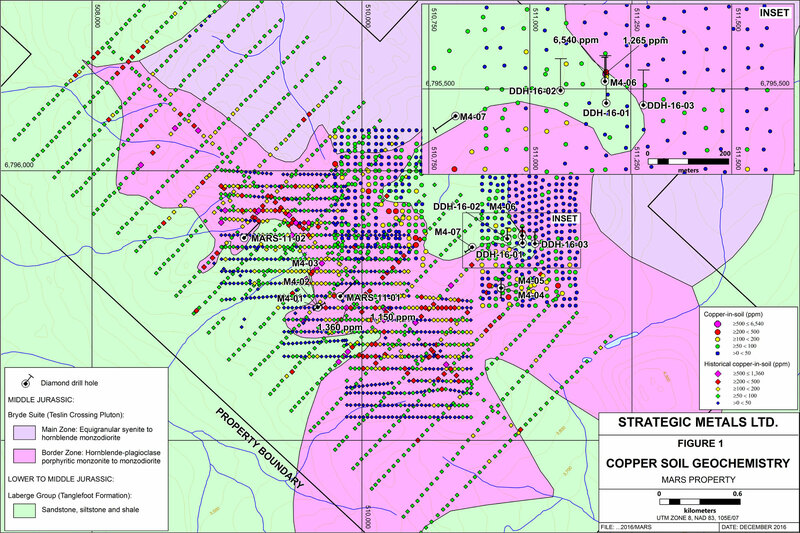 A map showing drill hole locations can be found on Strategic’s website. Results are summarized on the following table. 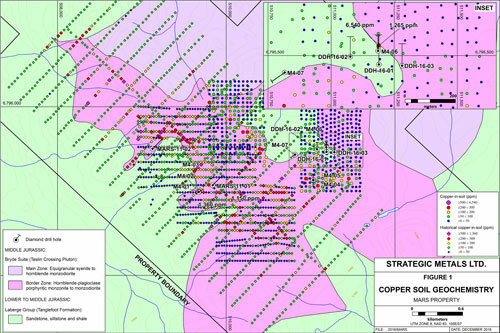 Strategic has a current cash position of over $18 million and significant shareholdings in a number of active mineral exploration companies including 41.4% of Rockhaven Resources Ltd., 8.3% of ATAC Resources Ltd., 33.4% of Precipitate Gold Corp., and 16.5% of Silver Range Resources Ltd.